Following up on the two articles about cutting your big expenses: cutting your insurance costs back and refinancing your home to drastically reduce your monthly cost; today we are going to focus on little things that pay big, long-term dividend. One of the easiest ways to save money over a long period of time is to cut your recurring expenses. Sure, cutting out going to three concerts per year would technically save you money. But you’d probably miss those concerts and the money you saved wouldn’t be consistent. Of course insurance and mortgage aren’t the only two costs you have to pay each and every month. What else could you cut back on or eliminate entirely? Eating out. Not only is eating out expensive, the food is generally not great for you. High calorie meals with gigantic servings will fill you up to the point of weight gain and other health problems — which then cost you money further down the road! Don’t cut out eating out entirely, but if you eat out all the time you might consider cooking in more for both money and nutrition reasons. Cable and internet. Nothing like mandated oligopoly to decrease competition and increase costs for consumers. Most of us can’t live without internet these days, but there are a few ways you can lower your entertainment costs. You can try reducing the number of channels you get, the speed of your connection, or simply calling customer retention and trying to cancel or get the “new subscriber” deal. 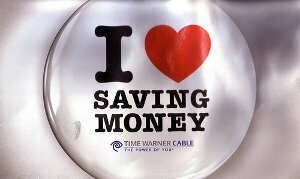 If you can live without cable, cut the cord entirely and save $600 to $1,800 per year. Gym membership. Every January gym memberships spike across the country. You get motivated after the holidays and decide this is the year you’ll get fit. The gym gladly lets newly motivated people to sign up — for a 2 year contract. By April or July you forget you even have a gym membership until it comes out of your bank account each month. If you use the gym, keep it. If you don’t use the gym, you might as well stop the $30 to $60 membership fee pain that you’re enduring. That’s $360 to $720 per year. If you have the space you could take the money you’re saving and invest in a home gym; you’ll pay the cost this year and be able to use it for many years to come for free. Cell phone. We live in a very connected world and having a smartphone is seen as a quasi-necessity. Then again having a smartphone is probably costing you at least $60 per month for a single line. If you could alter your usage by relying only on WiFi hotspots you could drop the data package that normally runs $30 or so. Alternatively you can go the pre-paid cell phone route and get as many minutes as you need plus the ability to text. This is by no means a complete list. Everyone has a different spending profile based on what is important to them. But often we build up recurring monthly expenses without realizing how much of those costs we actually use during a given month. Trimming back on them can save you a lot of money over a given year. Reminder: don’t just cut expenses without having a plan for the saved money. Automate the cost into a savings account. For example, if you dropped a $30 gym membership you will find yourself spending $30 doing something else throughout the month. Instead, set up a $30 automatic withdrawal to your bank account. It’s like your savings account is the gym and you have a 2 year contract to save money rather than spend it! An important note: cutting back is a prudent, healthy thing to do. We tend to pile things up and sign up for services we won’t use simply because we can pay for it monthly rather than all at once. Do force yourself to cut the things that aren’t meaningful and useful to you. It can be easy to think “well I love everything and it is truly valuable to me!” while still never going to the gym. Get brutal with yourself and cut things that don’t matter. If you cut too much you’ll realize it in a few months and add it back. Be careful: don’t cut back on everything. It’s like trying to stop smoking cold turkey or lifting 300 pounds in your first workout in six years. It just won’t work and you’ll probably slingshot headfirst into overspending. Got an expensive hobby the fulfills you and you truly enjoy? By all means, keep it. Live with a roommate so you can enjoy nice dinners out four nights per week? Fine by me. Look at where you are spending month every month or have a payment. Cut back or eliminate the things that are no longer important to you. Save the money you used to spend into your savings account…automatically. Cut what doesn’t matter and divert what you were spending into something fruitful like an emergency fund, debt payoff plan, or vacation fund. I’ll show you the importance of tracking some of these useful categories in my next article. Does Your Family Have an Emergency Plan? You’d be amazed how much more time you’d have without TV. I lived without TV several years ago when the house we lived in was pretty rural and not wired for cable. We got a few local broadcast channels but basically had no TV. I learned to enjoy listening to the radio, reading, enjoying quiet. Of course, that was when I was younger and life was a lot simpler, before kids, but it was enjoyable! Kevin, I might add invisible expenses to your list. I went through my account last week and noticed a $10.50 deduction. It seems that a purchase that I made called for a recurring deduction; not a one time deduction. I cancelled immediately! I wonder how many people have similar deductions that they are not even aware of. Well said. Monthly deductions of $50-60 or more need to be analyzed. Are they necessary? Is there a cheaper alternative, etc. Cutting a few of them will make a huge difference in the bottom line. Although savings is my number one priority, I only have 2 savings accounts. One is retirement (403B, IRA & IRA) and my interest checking. I am really disciplined so no worries about any leakage. I am so glad you mentioned the most important thing about saving money by cutting back services. In order to actually save the money you do indeed need to put it in a separate savings account or it will leak out through another hole in your budget! I review my expenses every month to see where I can make changes. I keep my dining out budget between $150-200 per month and always take my lunch to work. I reduced cable/internet to less than 1% of my earnings. I have had a home gym for roughly 12-14 years. I even get a discount on my cell bill and no land line.